Crafty Moments: SOME MORE CRAFTY MAKES. I made these little Japanese bookmarks a few months ago after watching a video on YouTube and getting some inspiration. They're very easy to make and I think they're really cute and they were certainly popular with friends who requested more of them after I gave these out. A simple A6 card made using stamps from HOTP (Simply Susan) , I used masking tape to mask off an area before stamping the vertical swirls. I really do like this set and seem to be using often. These two cards were made were both made using Sizzix Framelits dies - Triple Fancy Frame Flip-its code: 659176. These are great because they even have the dies to cut the patterned paper of your choice to to size that fit on your card perfectly. The butterflies are dies from HOTP. "3 Butterflies and 2 Shadows" Part number: 410532. 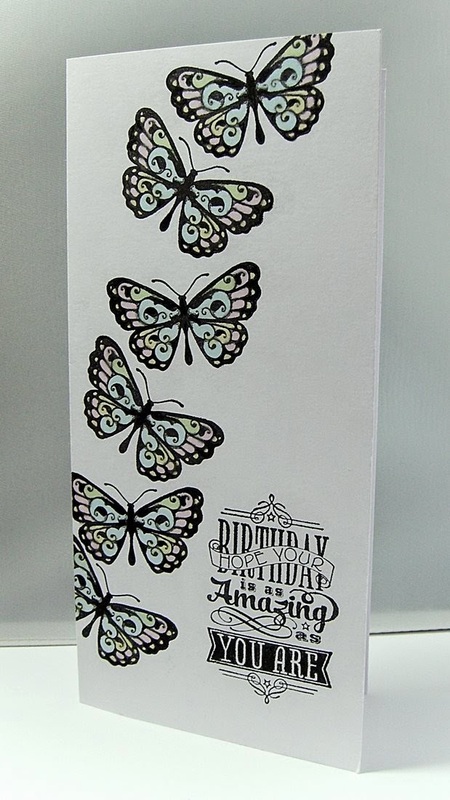 On the butterfly card I used foam pads to attach the sentiments to the back of the card. Such an easy, simple card to make but I think it's quite striking. You have been busy Vince, love all of your cards, but your little Japanese bookmarks are delightful. More stunners and I too love the bookmarks - clever idea! Look at you go! You are 'cookin with gas' and super prolific right now Vince! Will have to hunt down the video on the Japanese Bookmarks - that makes an awesome card and gift in one. 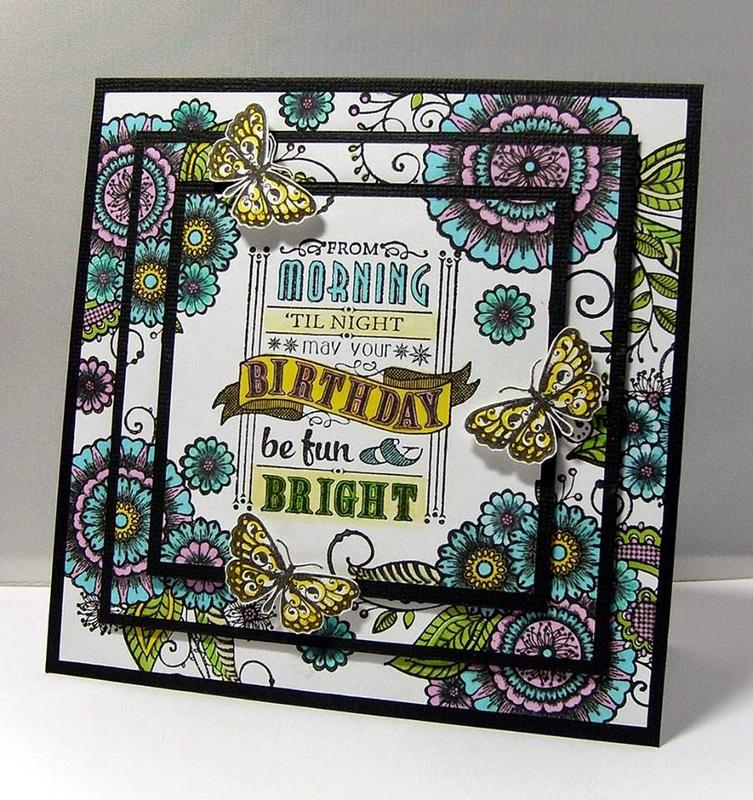 I am also really drawn to the two CAS cards you made with the masking technique and the Butterflies... both eye catching in their delightful simplicity - nicely done! The Japanese bookmarks are so clever, I host many Japanese exchange students and they often bring little bookmarks like this over as gifts for friends and yours look exactly like them. 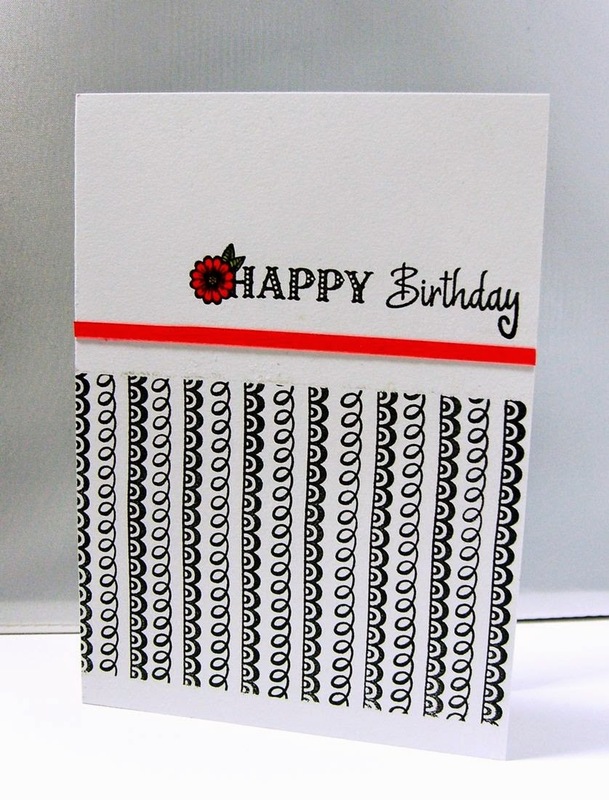 I love the black and white Birthday card made with what looks like border stamps so simple and effective and would make a great masculine birthday design.